Steviva Stevia Powder is now available. This all natural stevia is a great all natural, zero calorie alternative to sugar. Steviva Blend 1lb Bags are now available. This superb blend combines erythritol and stevia to create a low calorie, low carb, low glycemic, gluten free, non-maltodextrin, non-GMO sugar substitute that is also easy on your digestive tract. CarbRite Diet Low Carb Bars are now available in a variety of flavors. These very tasty low carb bars are even available at a super low price. Check out our wide range of low carb bars at Linda’s Diet Delites! Better Balance Protein Cookies are now available. 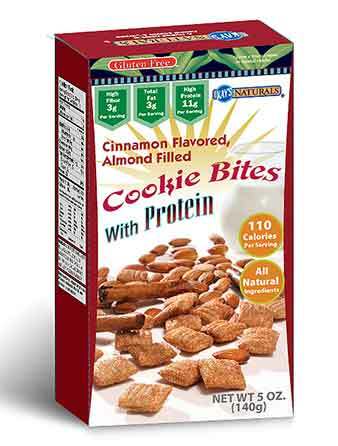 Low calorie, high protein, and might tasty cookies. 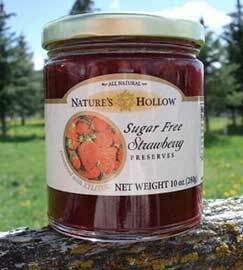 Nature’s Hollow Sugar Free Preserves are now available in Blueberry and Strawberry! These excellent Preserves are sugar free, low in carbs, and sweetened with xylitol instead of sugar or maltitol. Check out our wide selection of sugar free spreads and low carb spreads at Linda’s Diet Delites! 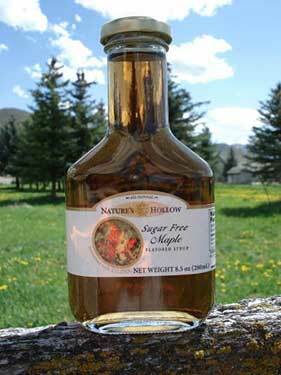 Nature’s Hollow Sugar Free Maple Syrup is now available! This excellent Maple Flavored Syrup is sugar free, low in carbs, and sweetened with xylitol instead of sugar or maltitol. Check out all of our sugar free toppings and low carb toppings at Linda’s Diet Delites! Nature’s Hollow Sugar Free Ketchup is now available! This excellent Ketchup is sugar free, low in carbs, and sweetened with xylitol instead of sugar or maltitol. Check out our wide range of sugar free toppings at Linda’s Diet Delites! 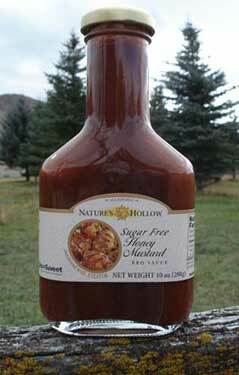 Nature’s Hollow Sugar Free Honey Mustard BBQ Sauce is now available! This excellent mustard is sugar free, low in carbs, and sweetened with xylitol instead of sugar or maltitol. Be sure to check out our wide range of sugar free spreads at Linda’s Diet Delites. 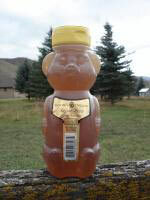 Nature’s Hollow Sugar Free Honey is now available. This excellent honey substitute is sugar free, low in carbs, and sweetened with xylitol instead of sugar or maltitol. Be sure to check out our huge selection of sugar free spreads from Linda’s Diet Delites! Atkins Low Carb Shakes Back in Stock! All of the Atkins Shakes are now back in stock at a super low price of only $6.39 while supplies last. That is 29% off the normal price. Be sure to check out our wide range of low carb shakes at Linda’s Diet Delites!